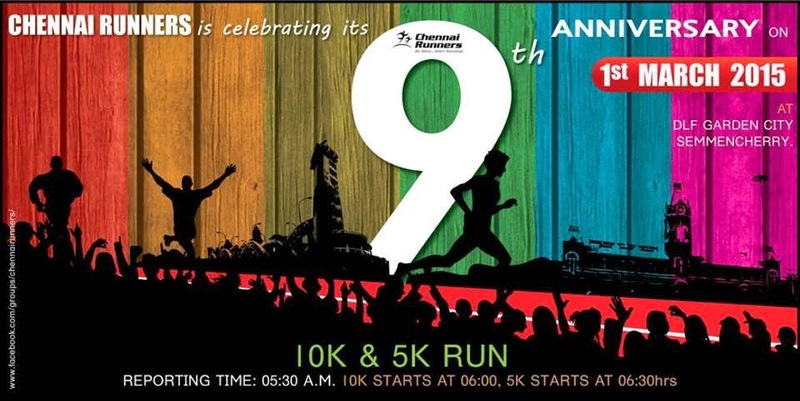 We moved from IITM to Nandambakkam trail discovered by the CR Pillar Pacers for our 8th anniversary. That was good as it gave us an opportunity to discover new running route possibilities in Chennai. We had good crowd of close to 900 folks who trekked from various parts of Chennai to join us in the celebrations. Milind Soman joined us to promote pinkathon, women only run. Here, he is browsing through the Rundown magazine released on that occasion. This magazine is an important contribution to the running community by Chennai Runners. Thanks to a bunch of dedicated volunteers, Rundown has shaped up well over the years. Everyone present got a free copy the magazine and a softcopy was made available online as well. 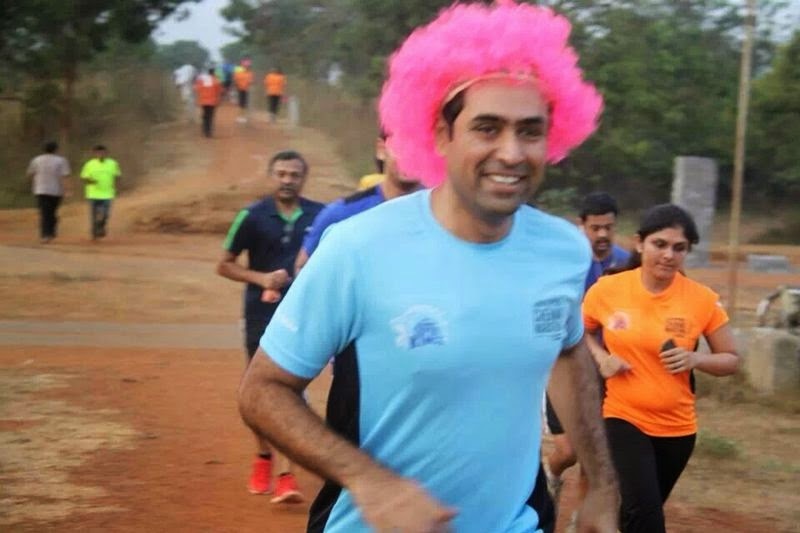 Pinkathon folks gave away a few wigs (pink color.. obviously) to promote the run. Who else, but KP the best ambassador of that. Chennai Runners Pillar Pacers took the responsibility for organizing the event. They made sure all aspects the event was taken care with meticulous planning and preparation. They also released their own chapter TShirts during the occasion, in bright colors. Of course, the celebration is not complete without the customary cake..
More Photos of the Chennai Runners 8th Anniversary Celebrations here..